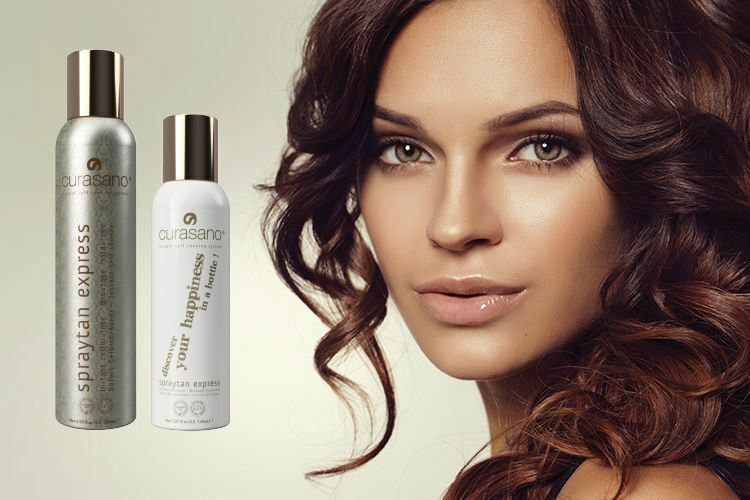 Curasano Tanning Lotion Pro is recommended by dermatologists and skin specialists. Curasano Spraytan Express® is the healthy and safe alternative to obtain a beatiful and smooth bronzed tan without having to expose yourself to the harmful UV-rays of the sun or a solarium. As a professional, you have the choice to use products that offer darker results after a single application (compared to our normal Curasano Spraytan Express). In this range, we also offer products that are transparent during application. The liquid is suitable for usage in professional spray tan devices. After applying the durable selftanning mist you will immediately obtain a beautifully bronzed glow. During the following hours this selftanning solution will continue to evolve and the obtained bronzed tan will remain visible for several days, equal to the natural tanning process. Ensures an immediate beautifully bronzed tan. A natural tan that remains visible for 5 to 7 days. Healthy and safe treatment for the skin. Recommended by dermatologists, suitable for all skin types. Fantastic feeling, you will feel and look good ! Smooth coverage without stripes or spots. Odorless and does not contain any preservatives. The healthy alternative to sunrays or sunbeds. Clean the skin thoroughly before application, if necessary use a peeling or scrub. Step 1 : Shake the bottle well before application. Step 2 : Keep the bottle at approximately 30 cm from the body while spraying. Step 3a : Make smooth S-movements while spraying and spray from top to bottom. Step 3b : If necessary, make use of our specially designed Curasano Spraytan Sentz® or Curasano Spraytan Sentz Mini® glove. Spray Curasano Spraytan Express® on the glove to easily and evenly apply the product. Step 4 : Let the product dry for about 10 minutes. The drying process can be accelerated by using a hairdryer if necessary. The following products available in 100ml, 250ml, 500ml and 1000ml. Other sizes or containers are always available upon request.